“Death is certain,” Zen teachings remind us, “but the time of death is uncertain.” What truth could be more evident, one might say, what reality more apparent. Yet that truth and that reality are difficult to accept, even under the most auspicious conditions. And should we learn that our own death is imminent, the difficulty increases a hundredfold. So it was with Carol Ruth Burdick (1928-2008), my friend of forty years, who learned on the evening of Friday, February 29, 2008 that she had advanced pancreatic cancer. Known to her community as “CB,” Carol was seventy-nine years old. Surgery, as she saw it, was out of the question, as was chemotherapy. The plain fact was that she was going to die, and soon. Rather than share that fact with friends or family, she spent the night facing it alone. Knowing nothing of her diagnosis, I called CB early the next morning to inquire after her health and to suggest that we meet for conversation, as we often did on Saturday mornings. When she told me her bad news, I expressed my sympathy, but I didn’t know what to say. “What’s the prognosis?” I asked. “About six weeks,” she replied. A few hours later, CB and I sat at her dining-room table, looking out of her big picture window at her frozen pond. Her mood seemed preternaturally calm. “How are you feeling?” I asked. In response, she reported that during the night she had made a list of the ten “positive aspects” of her impending death. “You know how I hate positive thinking,” she declared—and then went on to read her list. First, she would not be a burden to her grown children. Second, she would not suffer the humiliation of senile dementia. Third, she would not become destitute. Fourth, she would not have to endure a second knee replacement. Fifth, she would no longer need to worry about her internal pains, for now she knew their cause. Her list continued, each item detailing another benefit of her death—silver linings, if you like, in the darkest of clouds. Exactly six weeks later, on another Saturday morning, CB passed away. Since then, I’ve often thought of her list. What prompted her to compose it, I’ve wondered, and what purpose did it serve? To some, CB’s list might seem an elaborate form of denial, a rationalist’s defense against an implacable force. Perhaps it was, but I would prefer to see it as an expression of her literary sensibility and her practical outlook. CB was a published writer of poems and essays, articles and memoirs. It was natural that she would turn to language and literary form to articulate her situation. And CB was also an unsparing realist, who cast a cold eye on human folly and romantic self-deception. Void of such notions as a happy afterlife or a lasting legacy, her list acknowledged the concrete changes her death would bring, both for herself and her loved ones. It was not a wish list but a sober appraisal, reflective of both her stern Protestant upbringing and her literary education. Yet CB’s list was more than a realist’s analysis. It was also, in its way, an affirmation of the wholeness of life. Positive/negative; good/bad; fortunate/unfortunate: by their very nature, such dualities divide the stream of being into artificial halves, favoring one over the other and falsifying the whole. Perhaps that’s why CB disliked “positive thinking,” which not only “accentuates the positive,” as the old show tune advises us to do, but also isolates half of our experience at the expense of the other. And perhaps that’s also why CB fashioned her list, which redressed the balance of darkness and light, sadness and happiness in her present experience. For her family and friends as well as herself, her list afforded honest consolation. Beyond that, it affirmed the unity of life and death, creation and destruction, even in the midst of loss. Sober though it was, her list was a hymn to life and death, a lapsed Protestant’s L’Chaim. 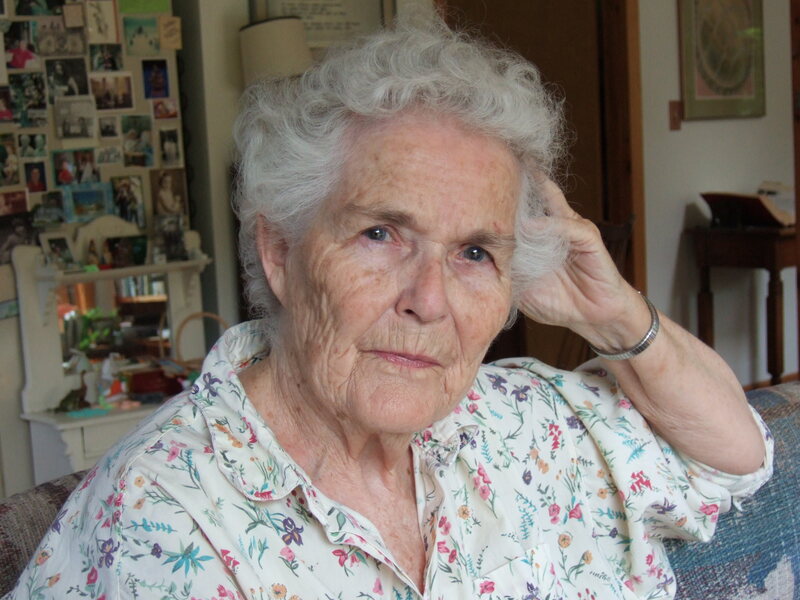 Carol Burdick was Adjunct Professor of English at Alfred University and the author of Haps & Mishaps: Sketches from a Rural Life (Whitlock Publishing, 2008). For more information, see http://www.whitlockpublishing.com/local.htm. Hard to lose a friend. CB used the tools she had to work out her feelings about her death… words. I miss her also and remember her many words…. her panacea, her refuge. CB was a good friend and mentor to me, as well, and I appreciate the candor and sensitivity of this post. I visited her a week before she died, and she was calm, centered, and warm, despite touched by a sadness that she would have so little time to read and write and be with those she loved. As she did every time I visited, she sent me away with books and words of wisdom, and she even comforted ME when a tear came to my eye. She has always been a sort of midwife to help ease my intellectual and creative impulses into the world, and your post helped me realize that she has also eased me into an acceptance of death and what it means. Thank you again for these reflections. CB’s list, and your discussion of it, reminds me of the importance of Right View. We have a choice of views, of course, and few of us willingly choose to look directly into impermanence, non-self, and suffering. Yet, as CB’s list demonstrates, it’s exactly that viewpoint that eases the great burden. Thank you all for your thoughtful comments. i never knew her. watched thought from a distance of 20 feet or through words of students or published work. through your words, ben, i feel she is speaking to me, her words and lesson i hope to hear. As a beneficiary of Carol’s classroom gifts, and more, I went looking for her online today, the tenth anniversary of her death. And I was very appreciative to discover this, from one who knew her so well and so long. Many thanks.